Butterweed is a member of the sunflower family. There are several closely related species that grow in the Sonoran Desert. The species are able to occupy habitats from lowland deserts to washes, forests, and mountains. Most plants are somewhat shrubby in appearance and have narrow, lance shaped leaves. Flowers are usually seen in the spring and are bright yellow with many petals to about an inch in diameter. 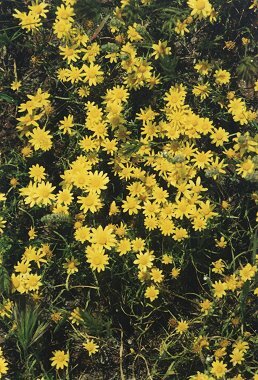 Butterweed gets its name from its bright yellow flowers.